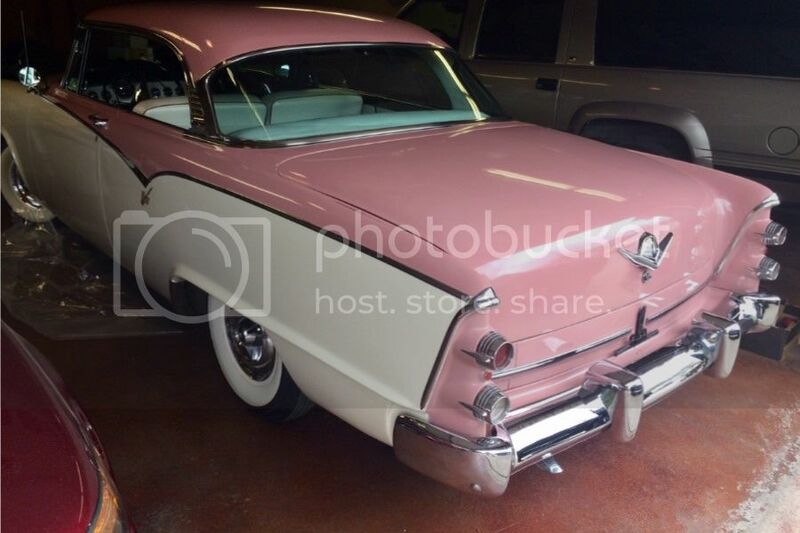 Need to put new exhaust under my '55 Custom Royal Lancer with 270 Hemi, and dual exhaust. Any suggestions for an exhaust that will sound throaty, but not obnoxiously loud? I have been searching on YouTube to hear exhaust sound, the flow master sounds OK to me, but my muffler guy hates those. I would like to go Stainless, so any other suggestions out there? Location: NorCal Every Flowmaster I've tried sounded OK from the outside but had an irritating drone inside the car. Location: N.W. Fla. turbo mufflers.. In the end, I went with my local muffler shop for about CDN$500 for a custom, down pipe back, system. Details: Went with 2.25" pipes once the OE down pipes from the manifold went horizontal. 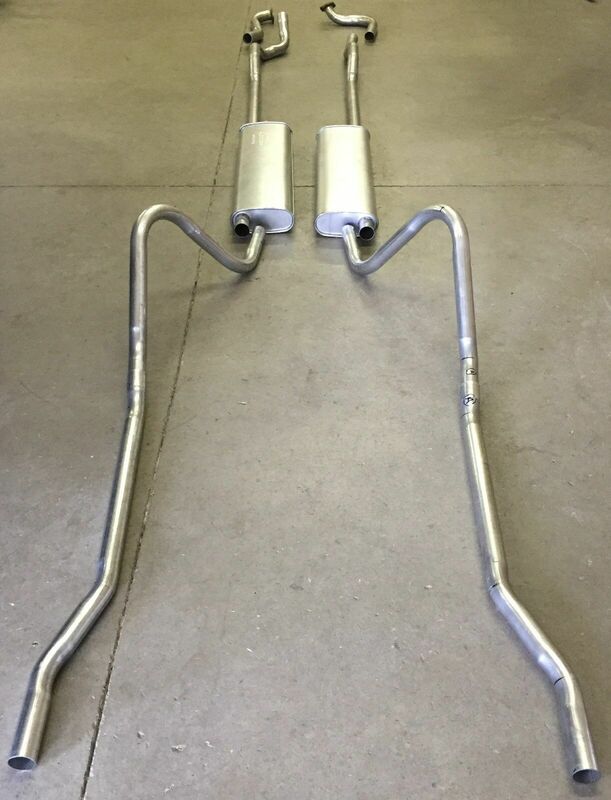 AP XLERATOR BIG MAX® TURBO MUFFLERS and Magnaflow 35190 tips. Location: Iowa Thanks for the suggestions! 56 D500 Boy, how did the sound turn of your exhaust turn out? Location: Locked in my Canadian garage.... I used Dynomax Super Turbos on the last car I did. Headers, 2 1/2, no crossover, out the back, stock small block. Actually sounds decent. I dont mind the 50 series Flowmasters, the 40s are a little on the aggressive side IMO.